On 11-12 July 2018, the Centre for Research and Technology Hellas – Information Technologies Institute (CERTH-ITI) co-organized with NASA the 3rd EARSeL Special Interest Group (SIG) LU/LC and NASA LCLUC Workshop focusing on Land-Use/Cover Change Drivers, Impacts and Sustainability within the Water-Energy-Food Nexus. 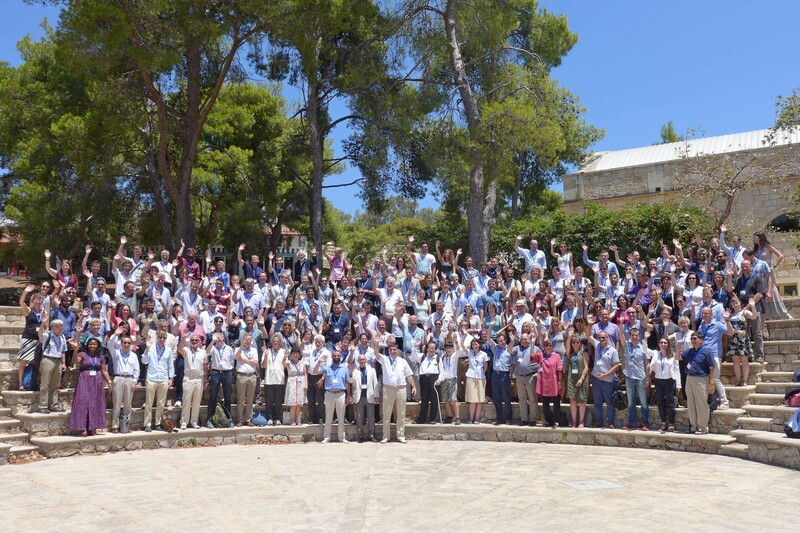 In parallel, CERTH-ITI co-organized with the Mediterranean Agronomic Institute of Chania (MAICh) the annual (38th) EARSeL Symposium on the Earth Observation Supporting Sustainability Research, 09-12 July 2018. The Symposium and the Workshop were held at the Conference Centre of MAICh and were supported by the European Space Agency (ESA). The events hosted 12 globally acknowledged keynote speakers and 4 esteemed session chairs. Latter come from the Unit for Space Data for Societal Challenges and Growth of the DG Grow of the European Commission, the newly appointed GEO Secretariat Director, the University of Washington, and the DLR German Aerospace Centre. More than 200 participants populated the events with high caliber presentations and joined vivid discussions, which created a fertile environment for the emergence of a new network for the Eastern Mediterranean, the MedRIN (Mediterranean Regional Information Network). In the latter, Greece, Cyprus, Israel and Turkey, together with NASA, take on a leading role. Within the framework of the events, the H2020 ECOPOTENTIAL exhibition ‘SPACED: Using Earth Observations to Protect Natural Landscapes’ has been exposed in Chania centre, providing the opportunity to visitors to view the beauty of the protected areas in Europe and beyond and be informed about issues and challenges they face.